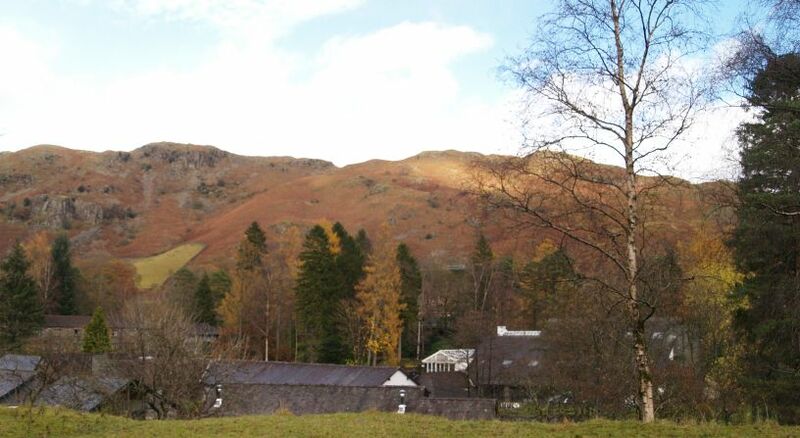 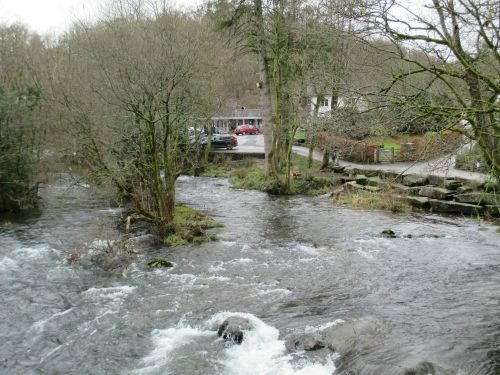 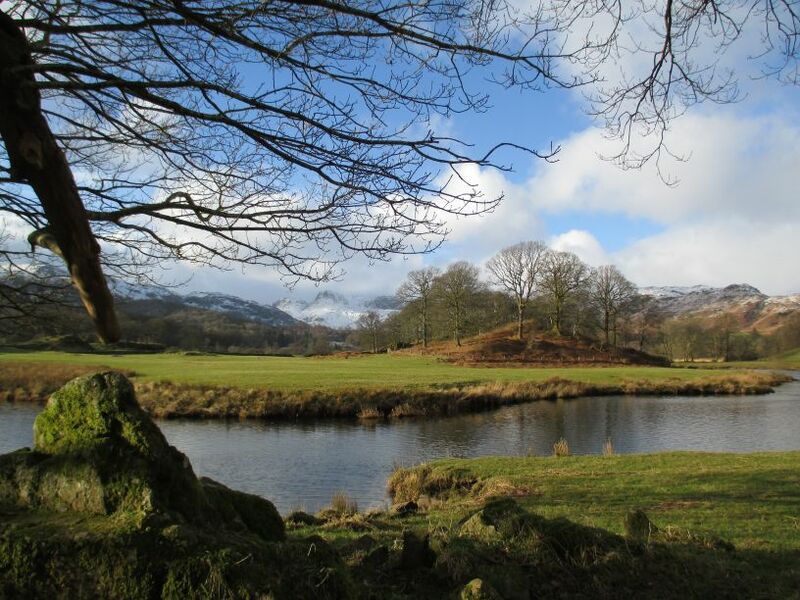 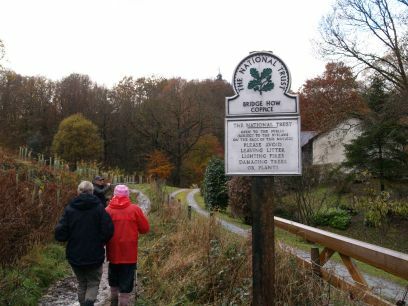 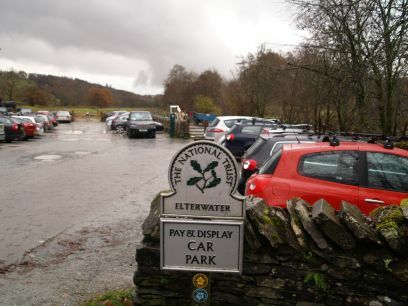 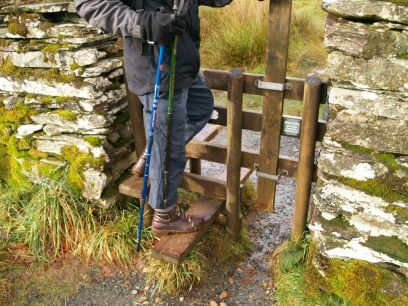 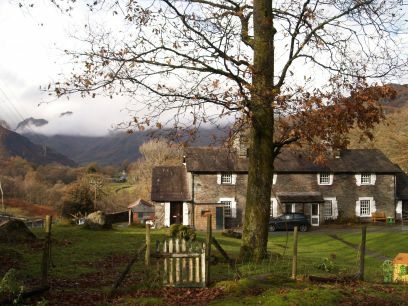 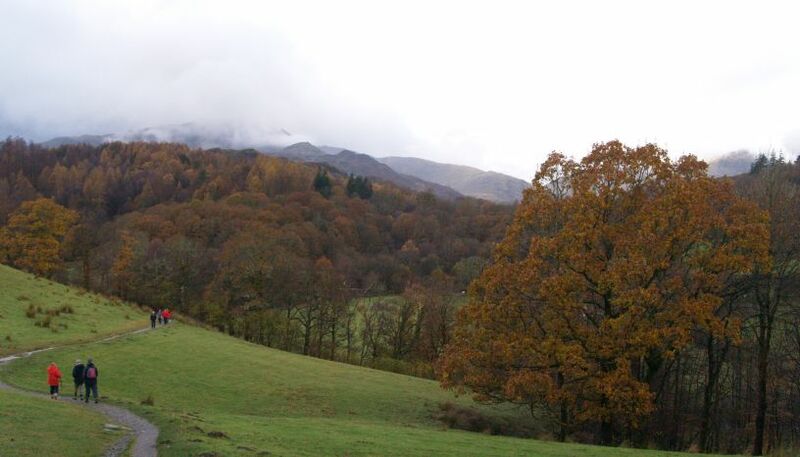 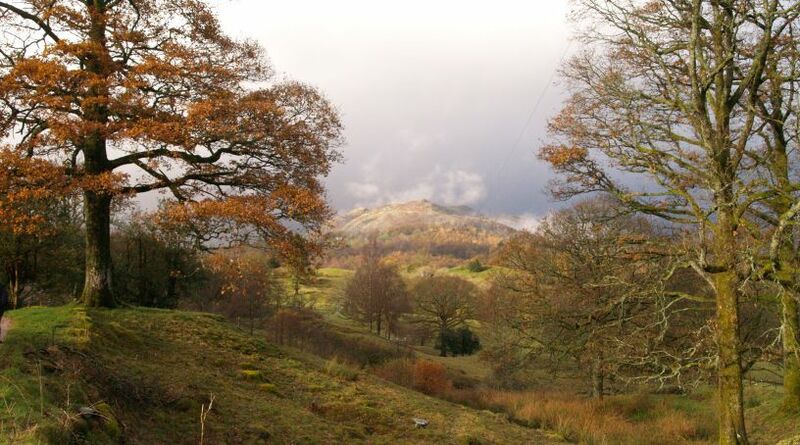 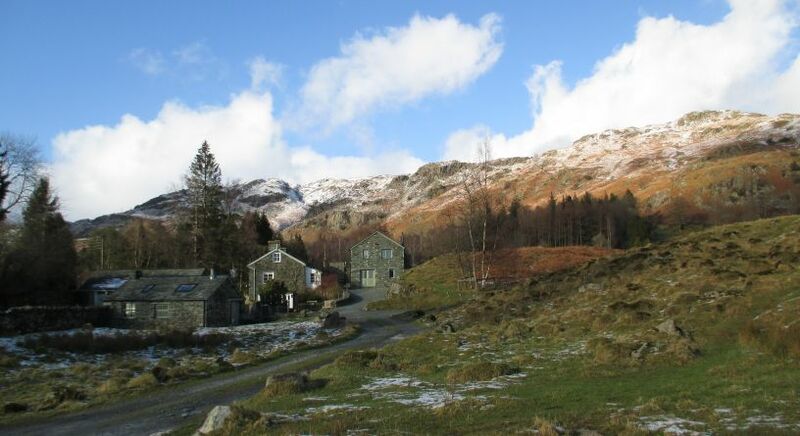 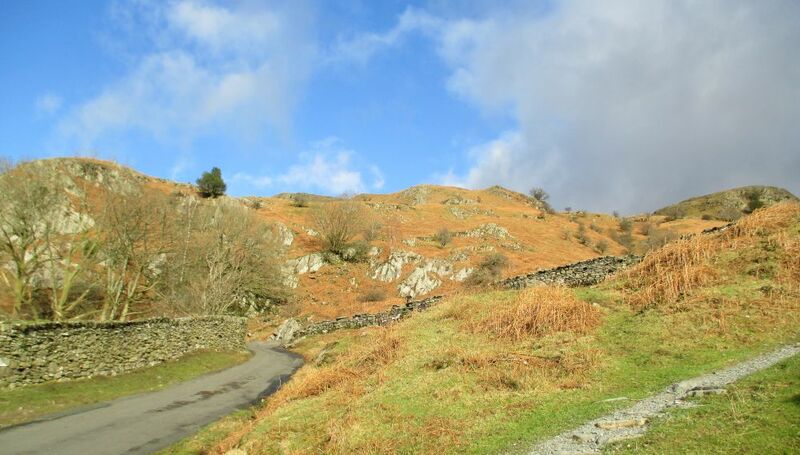 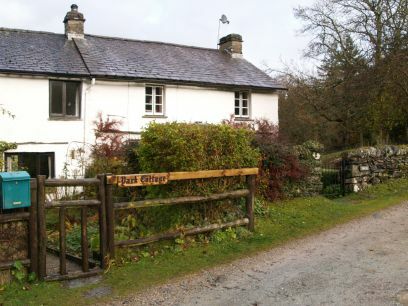 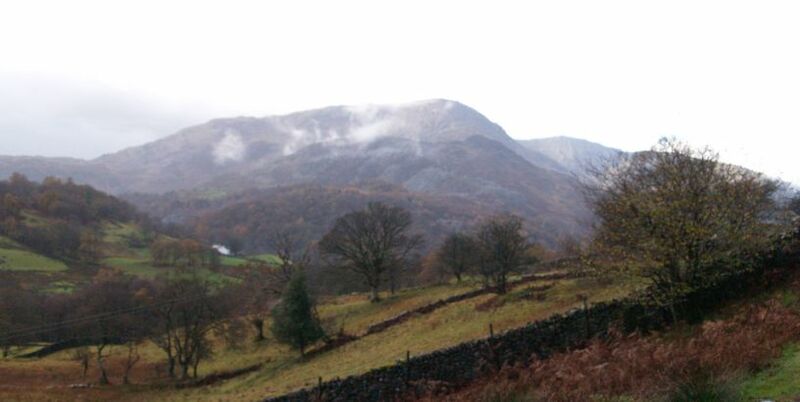 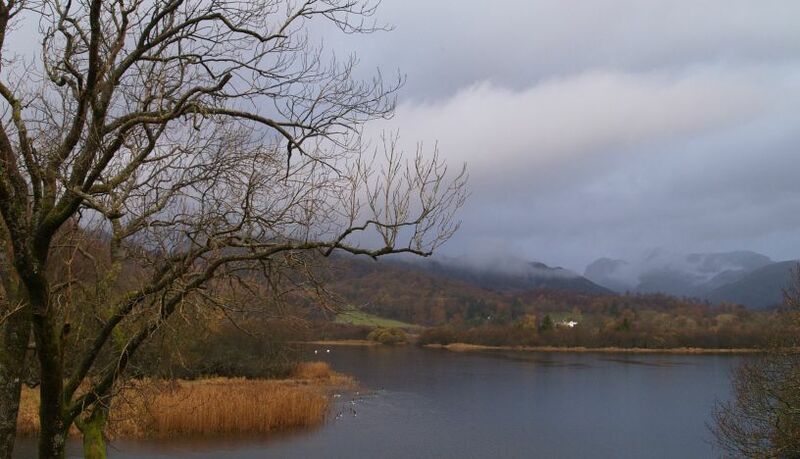 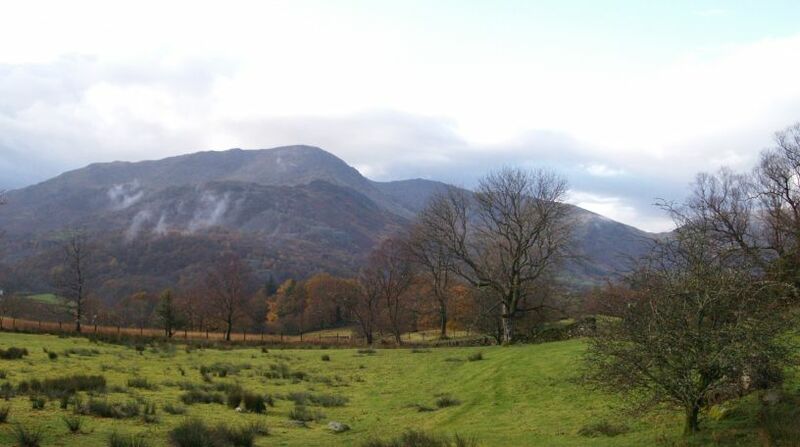 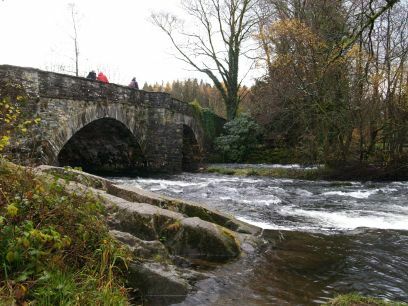 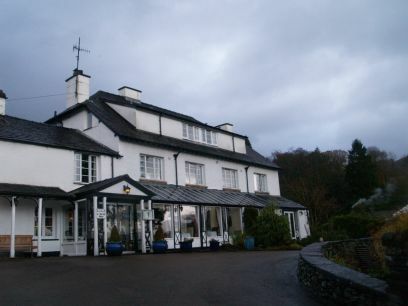 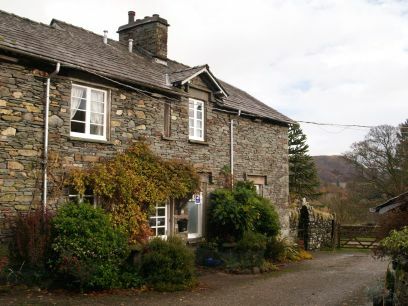 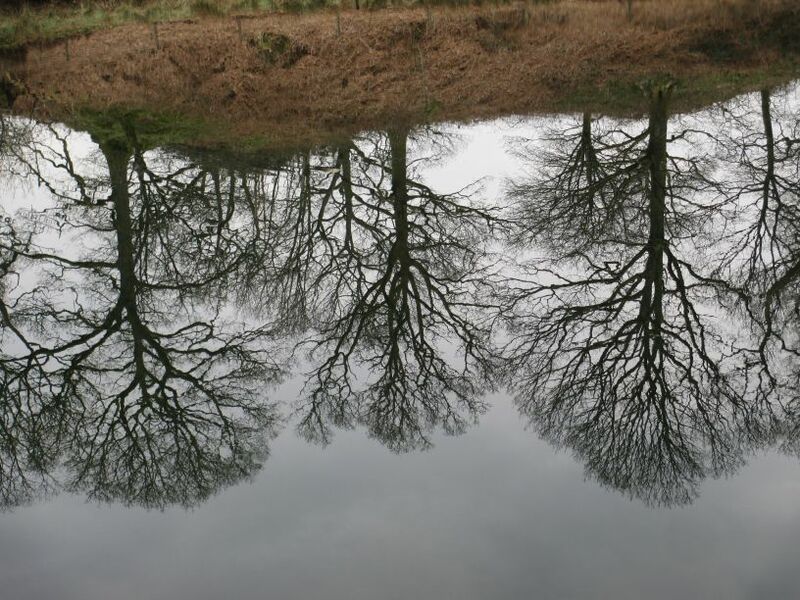 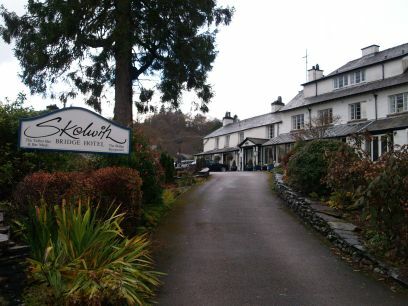 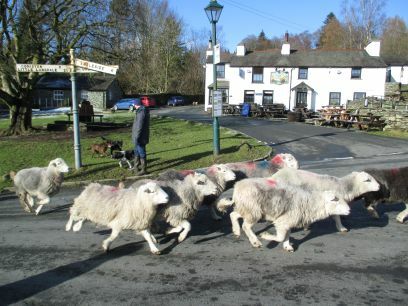 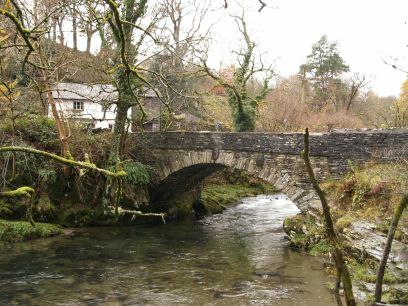 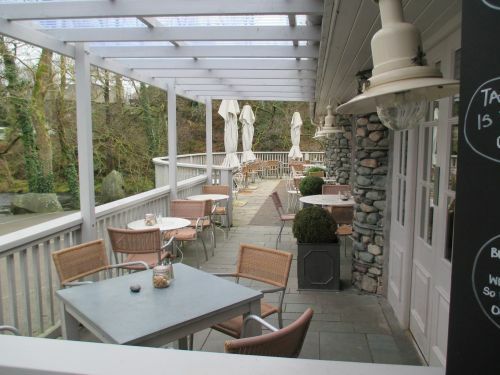 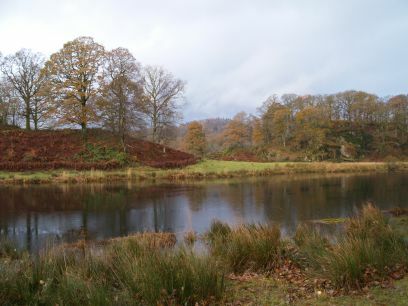 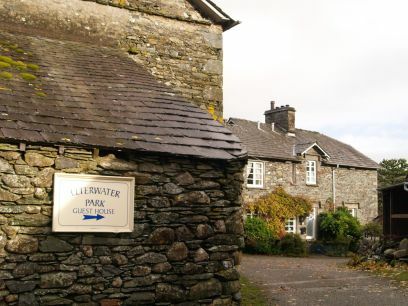 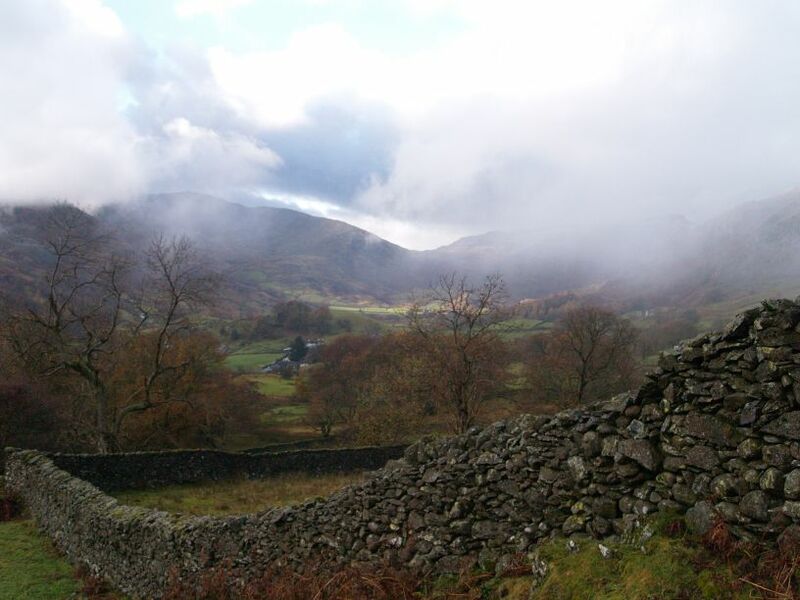 You can do a longer circular walk or short walk there and back from Skelwith Bridge to Elterwater. 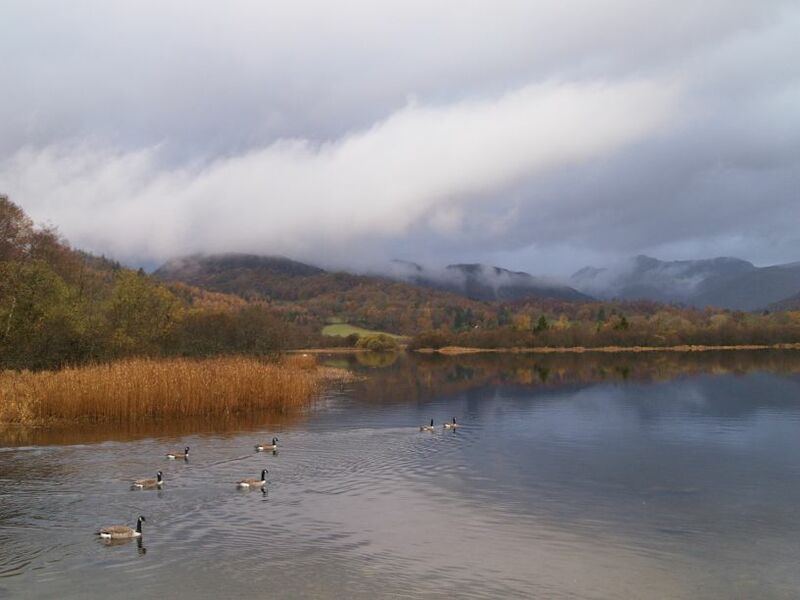 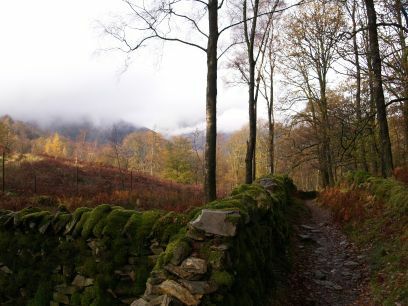 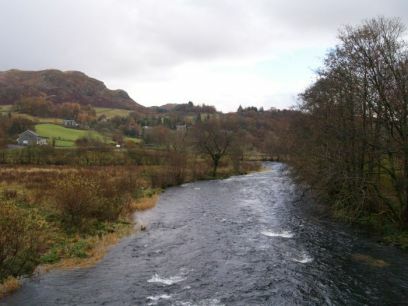 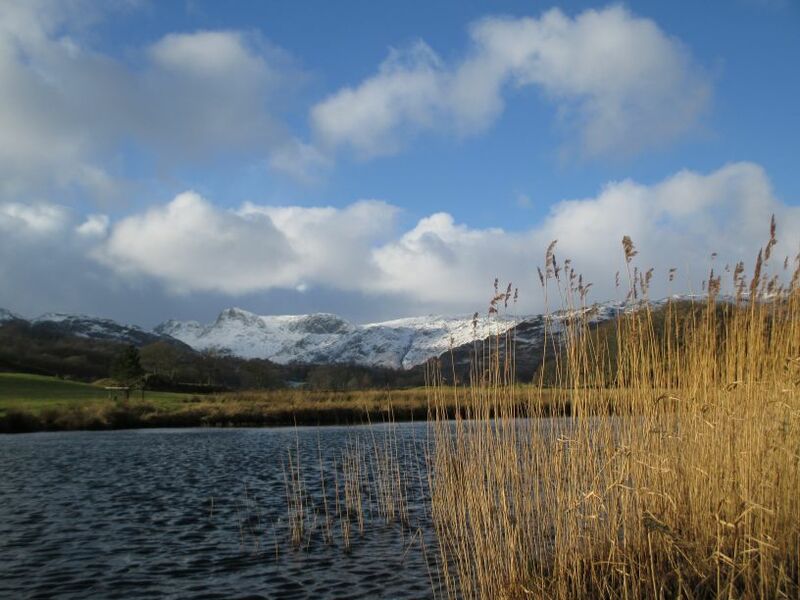 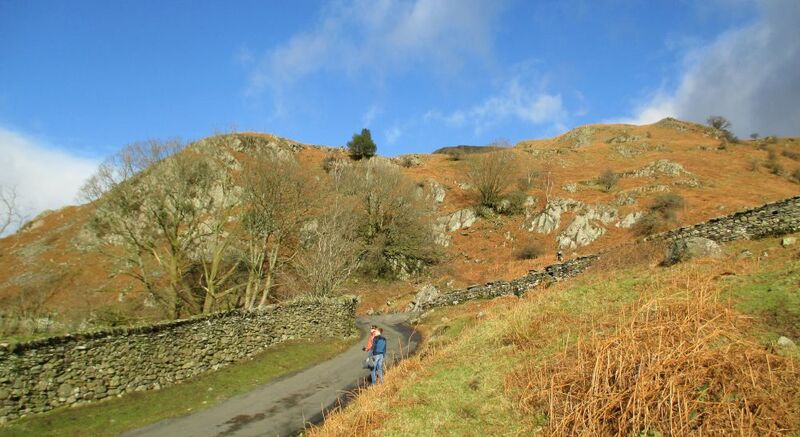 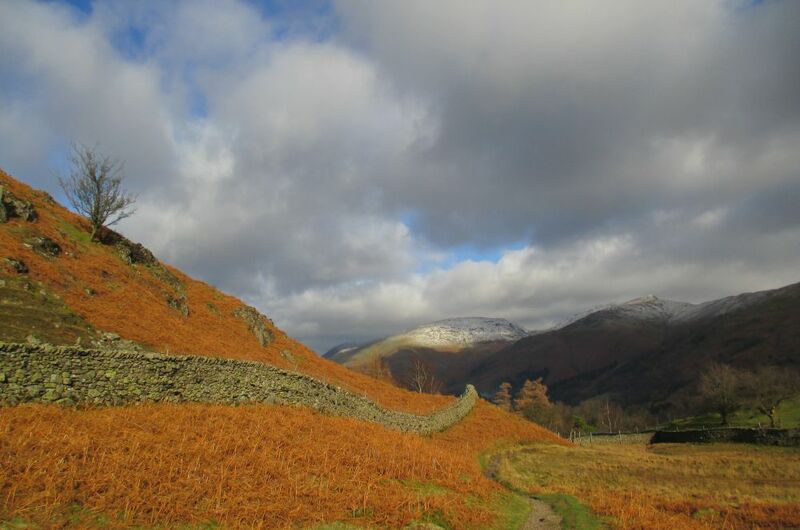 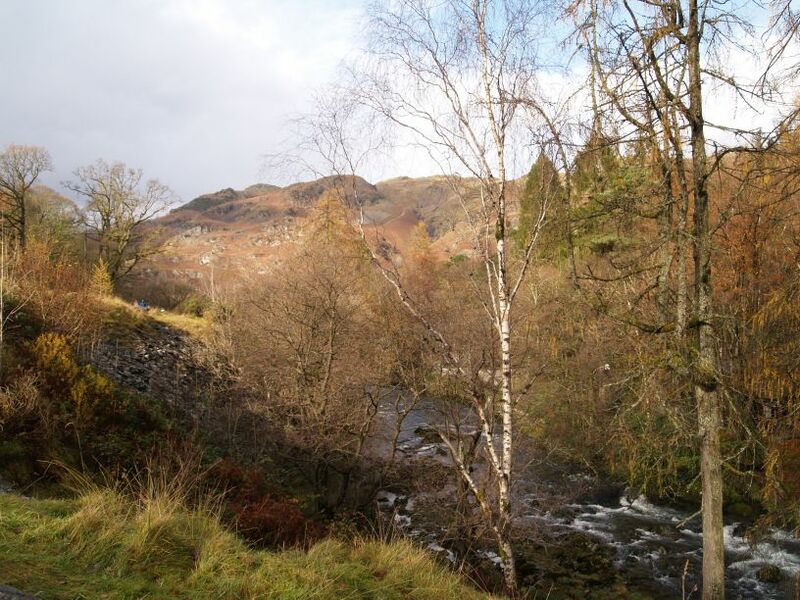 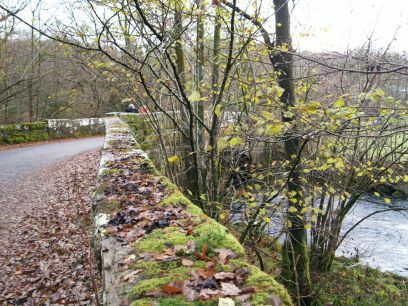 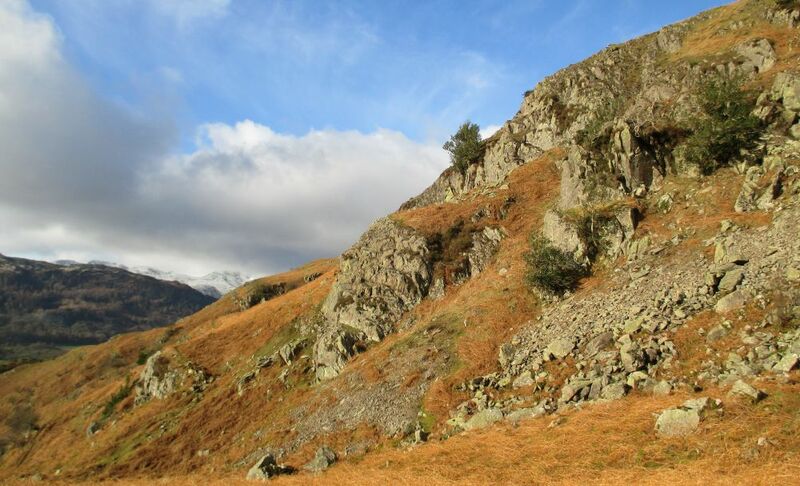 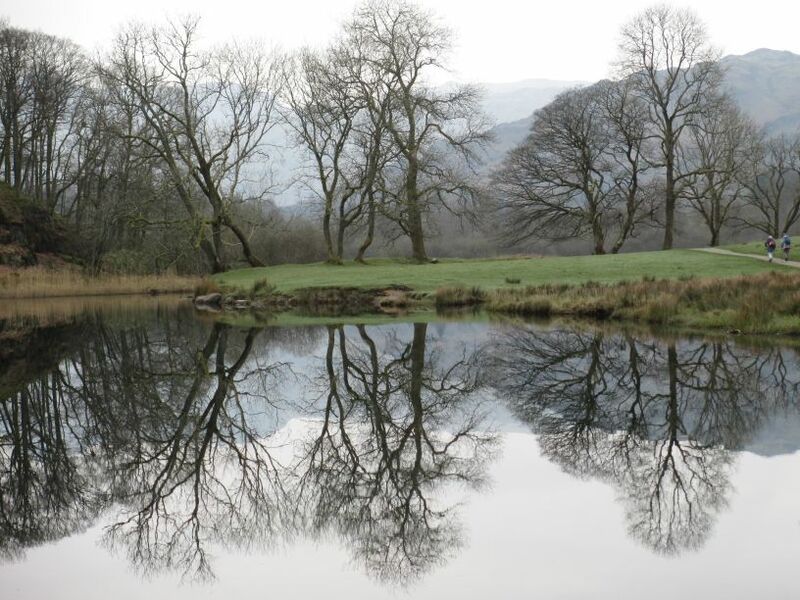 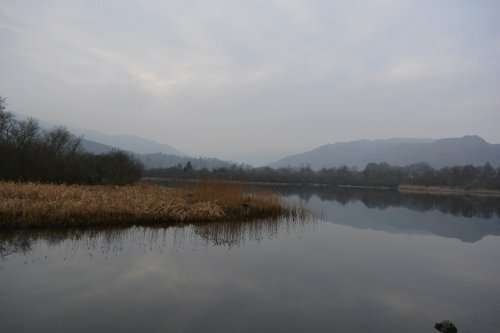 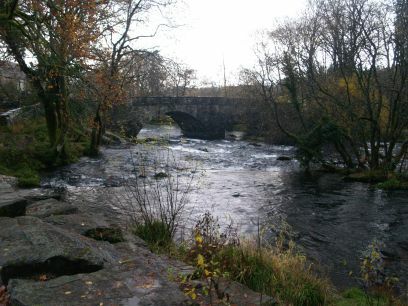 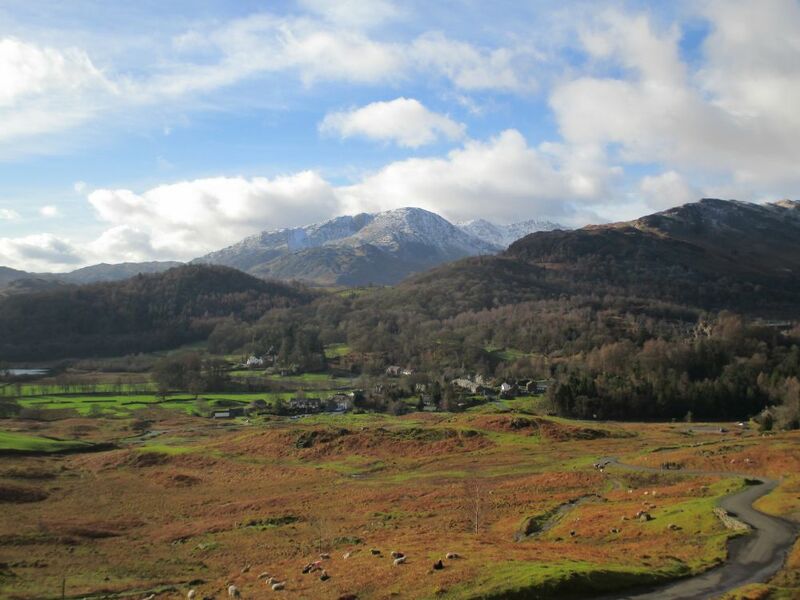 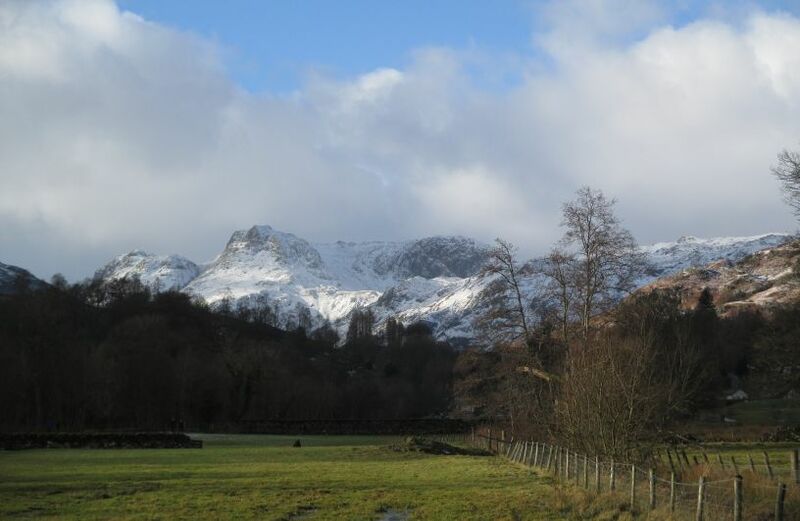 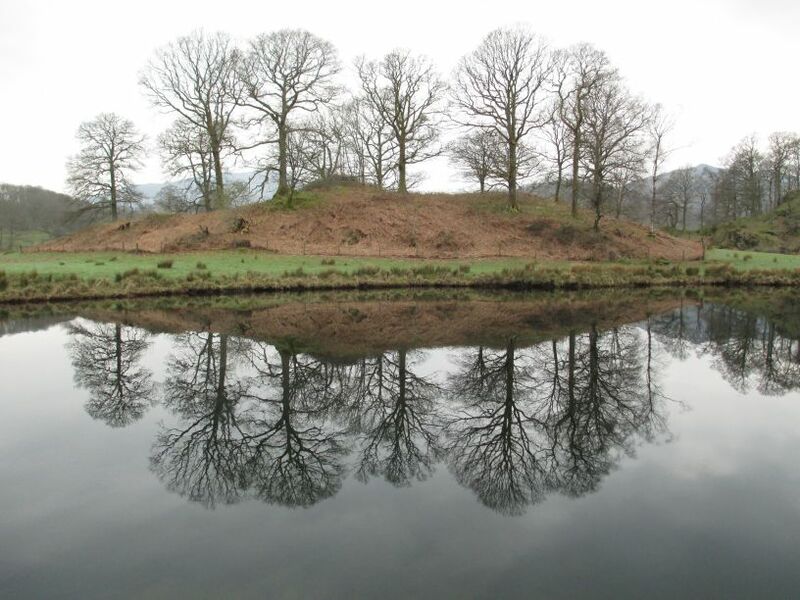 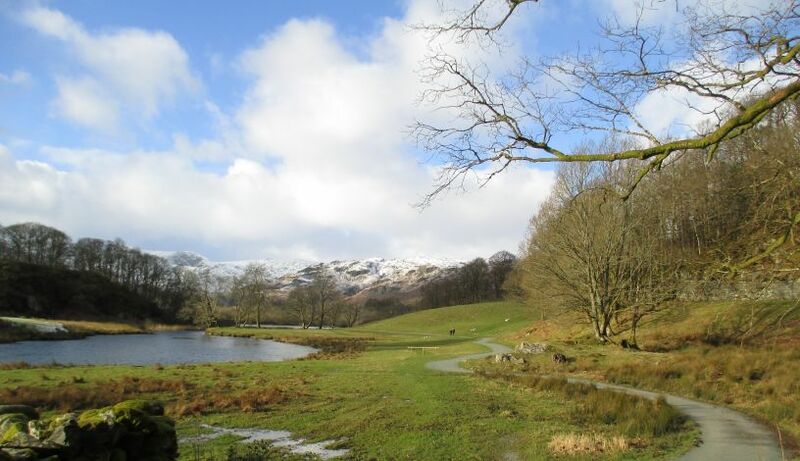 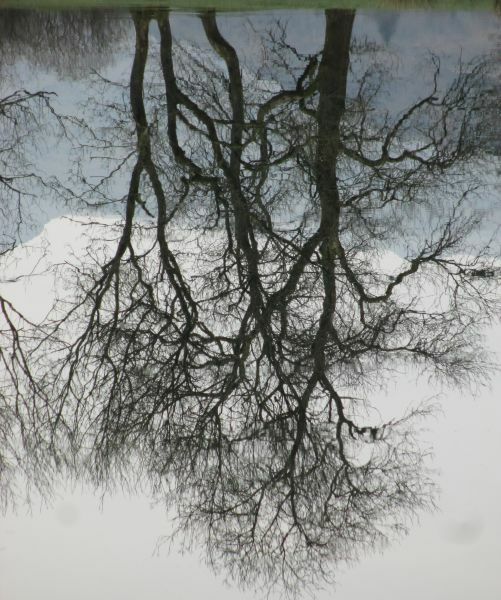 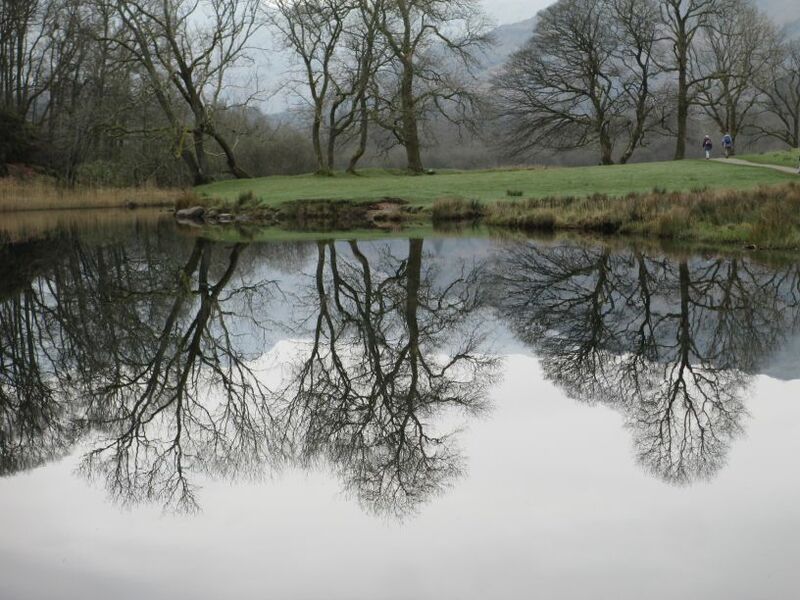 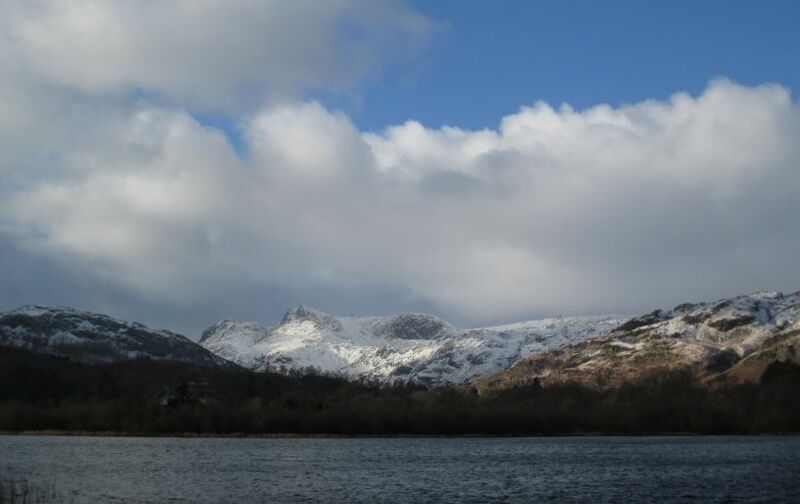 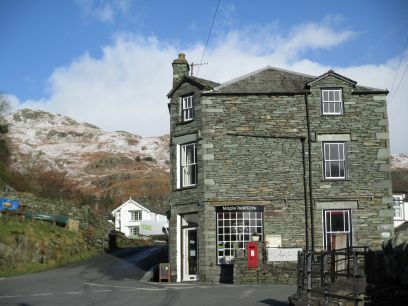 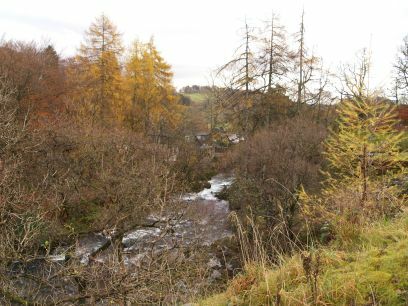 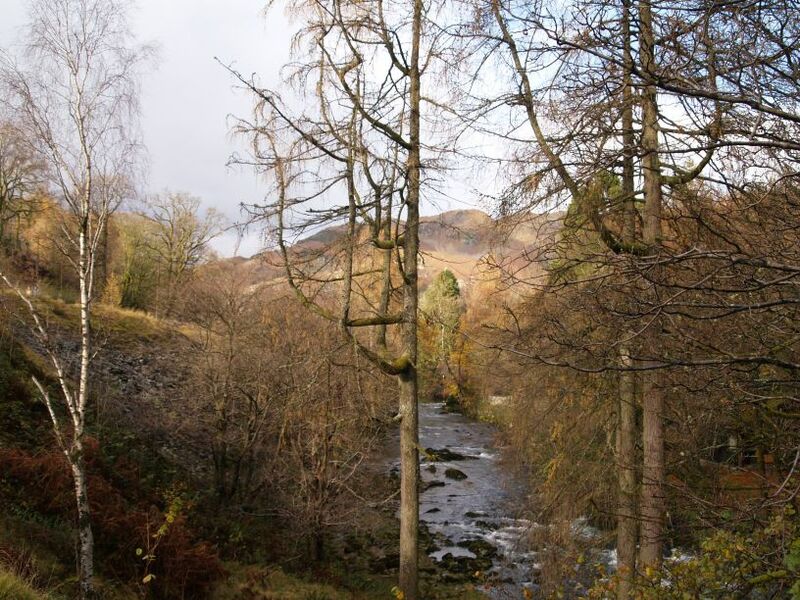 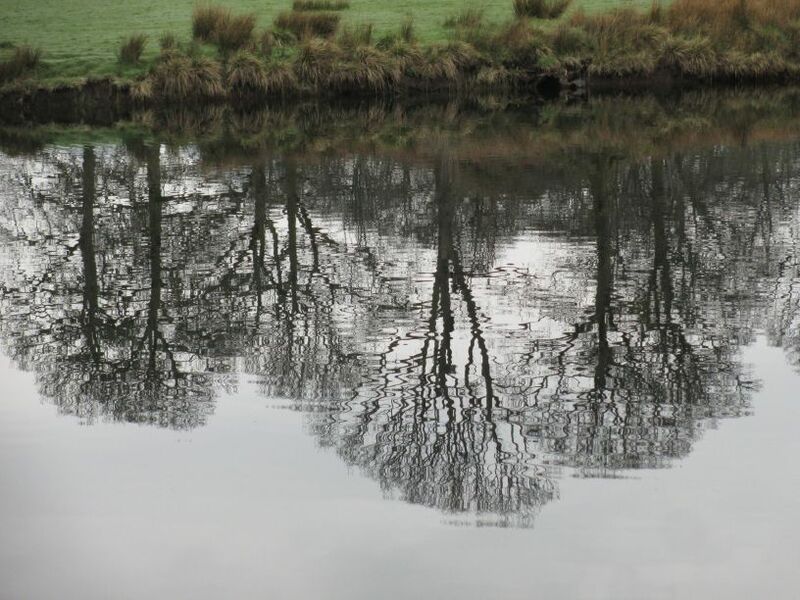 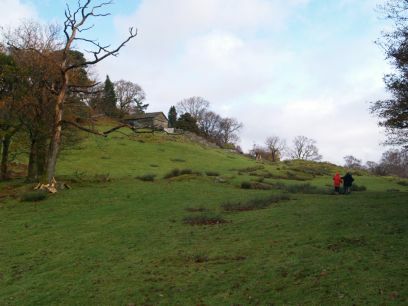 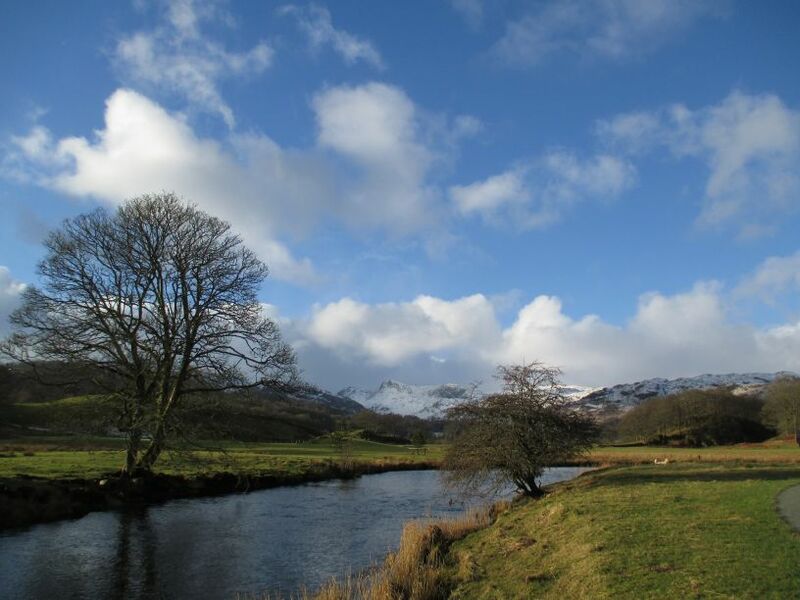 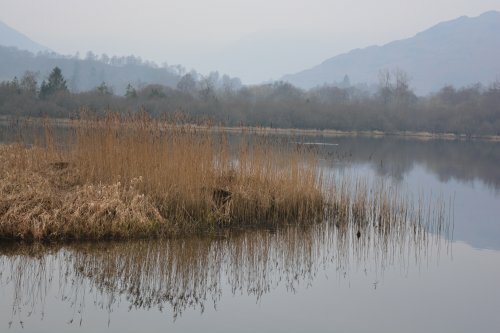 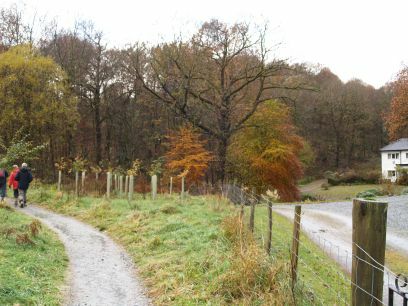 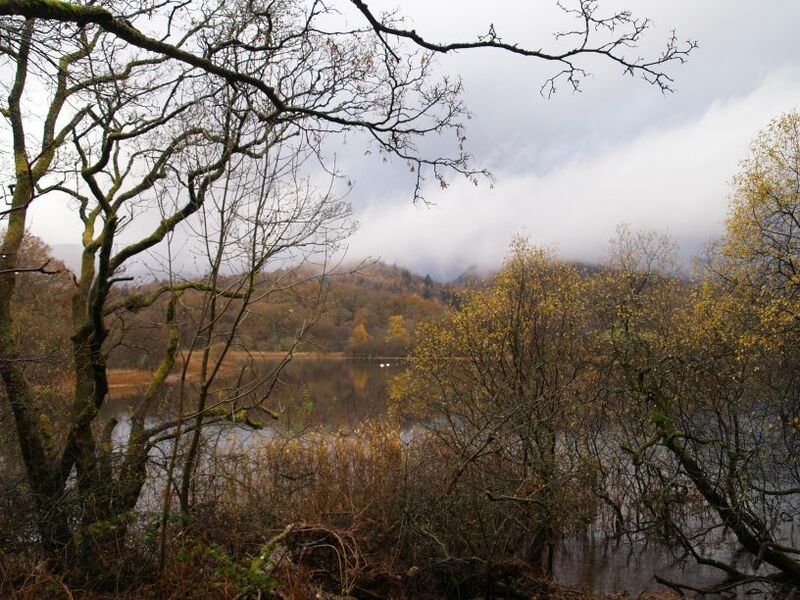 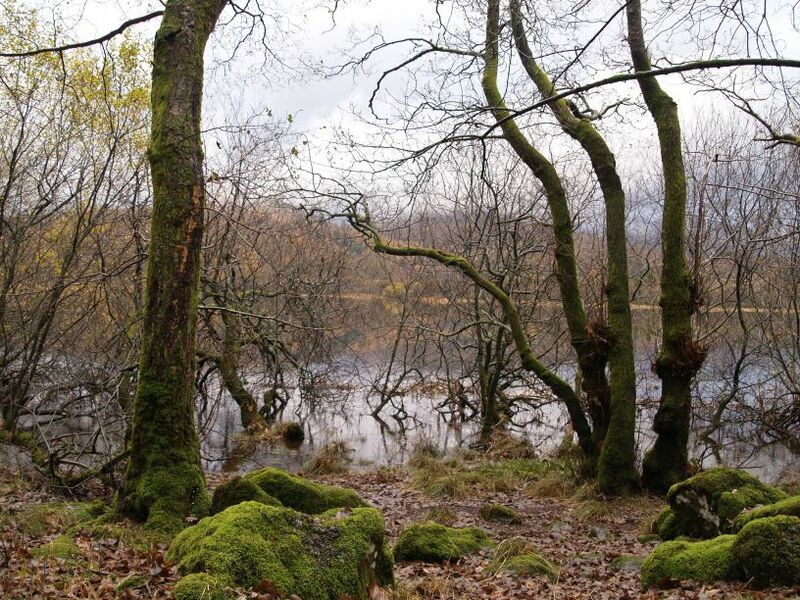 This page describes and illustrates a clockwise walk from Skelwith Bridge to Colwith Bridge, onto Elterwater and back to Skelwith Bridge OR direct from Skelwith Bridge to Elterwater. 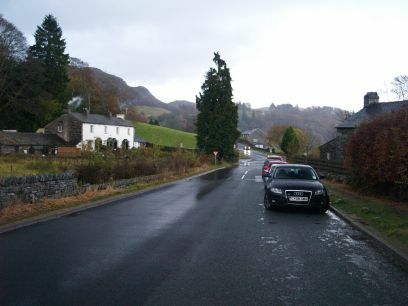 Skelwith Bridge-Colwith-Elterwater Circular Walk: parking on the B5343 road where it leaves the A593 Ambleside road. 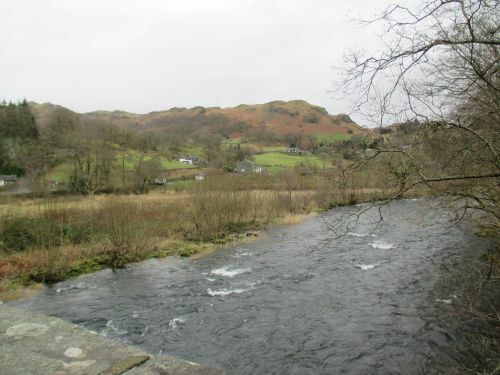 Skelwith Bridge-Colwith-Elterwater Circular Walk: Skelwith Bridge and the River Brathay. 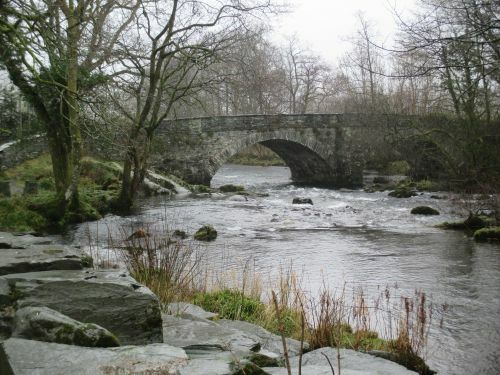 Skelwith Bridge-Colwith-Elterwater Circular Walk: After crossing the River Brathay you head west through Bridge How Coppice (National Trust land). 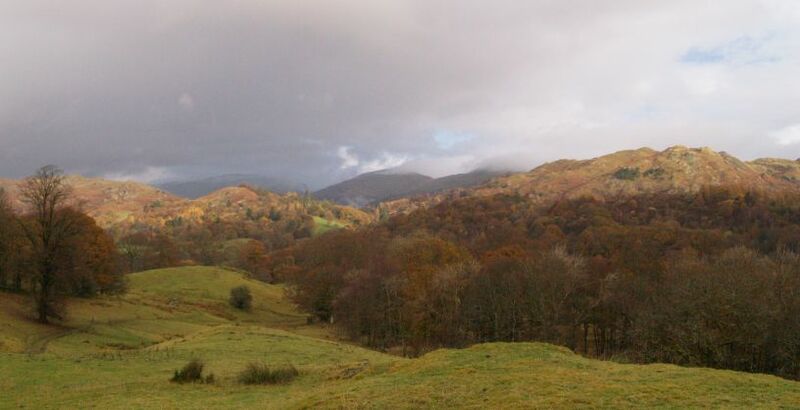 Skelwith Bridge-Colwith-Elterwater Circular Walk: Looking west after Park farm. 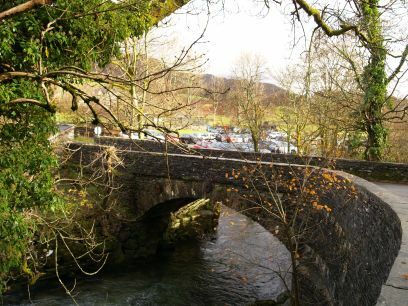 Skelwith Bridge-Colwith-Elterwater Circular Walk: Colwith Bridge, you go up the road over the bridge and turn right on the road to Little Langdale and Wrynose. 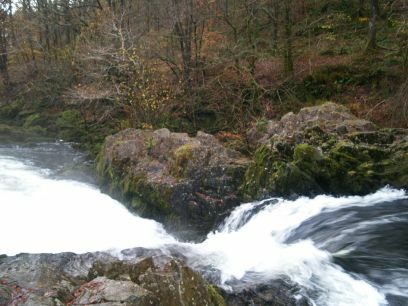 Skelwith Bridge-Colwith-Elterwater Circular Walk: Down on your left are the Colwith Force waterfall. 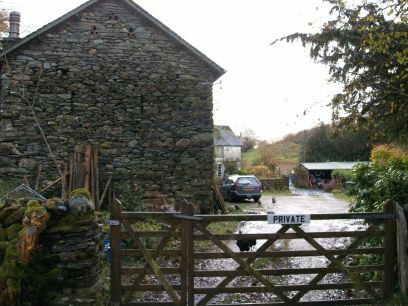 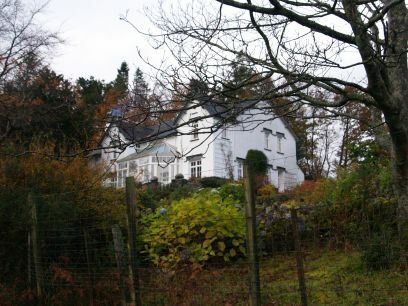 Skelwith Bridge-Colwith-Elterwater Circular Walk: The house at Low Hacket. 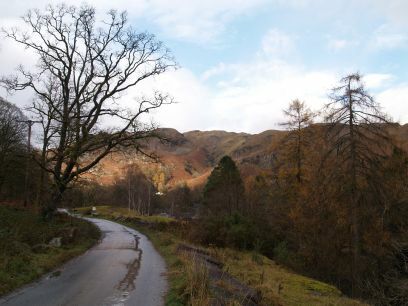 Skelwith Bridge-Colwith-Elterwater Circular Walk: Views west to Little Langdale between Low Hacket and High Hacket. 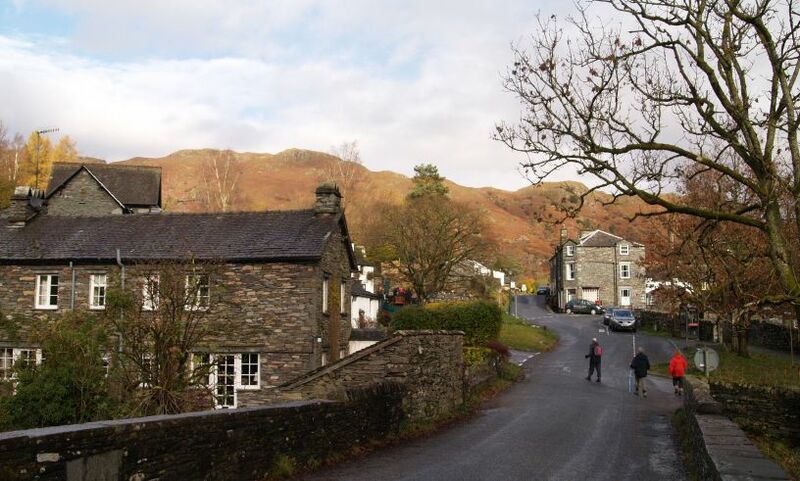 Skelwith Bridge-Colwith-Elterwater Circular Walk: Passing the houses and out buildings of High Hacket. 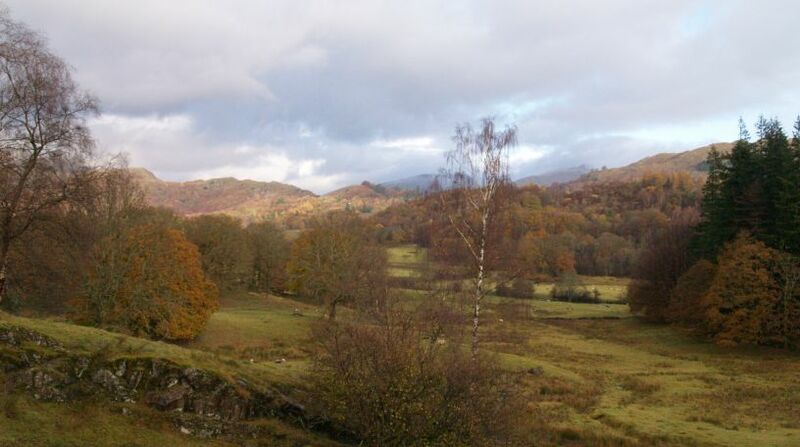 Skelwith Bridge-Colwith-Elterwater Circular Walk: Two views looking north-west to Lingmoor Fell and Little Langdale. 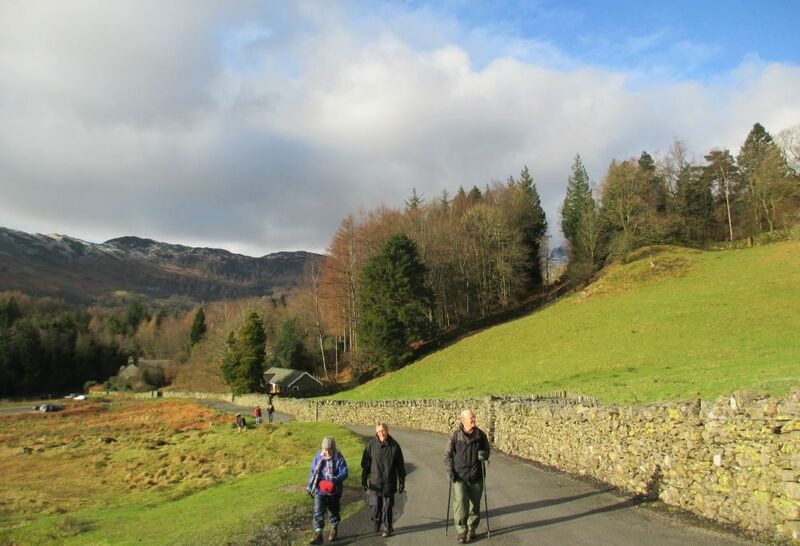 Skelwith Bridge-Colwith-Elterwater Circular Walk: Leaving Sawley Wood and heading down to the slate quarries north-west of the village of Elterwater. 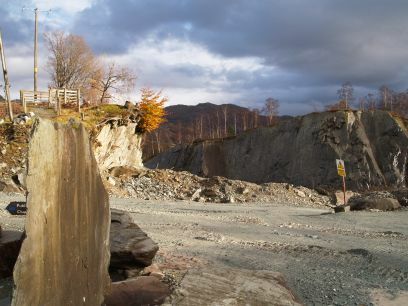 Skelwith Bridge-Colwith-Elterwater Circular Walk: The workings of the Burlington Slate Ltd. slate quarry near Elterwater. 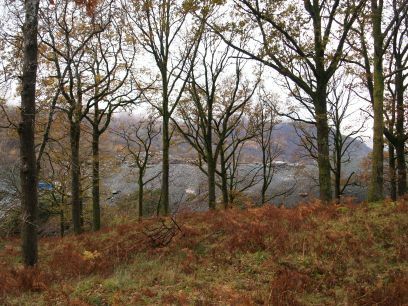 Skelwith Bridge-Colwith-Elterwater Circular Walk: Dramatic landscape old quarry workings and autumn cloaked trees. 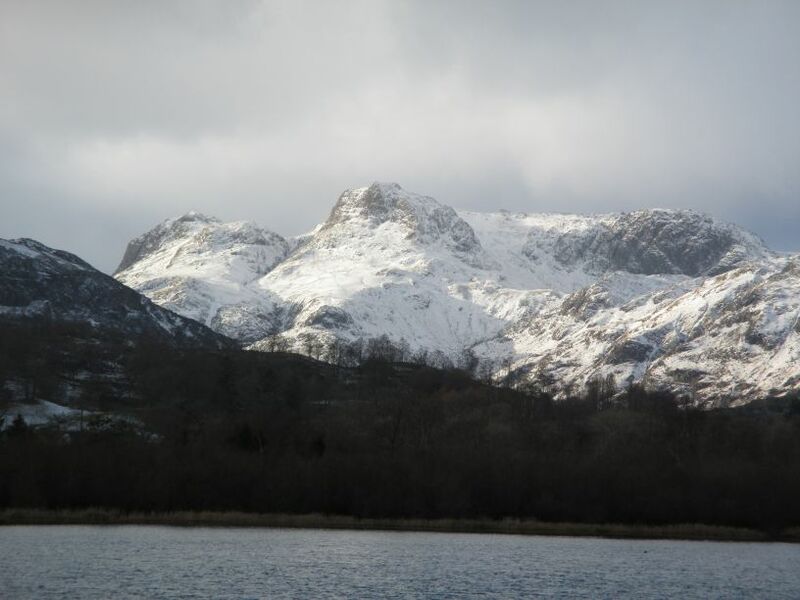 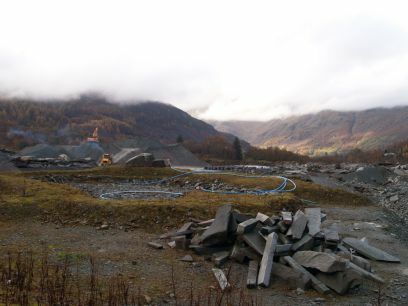 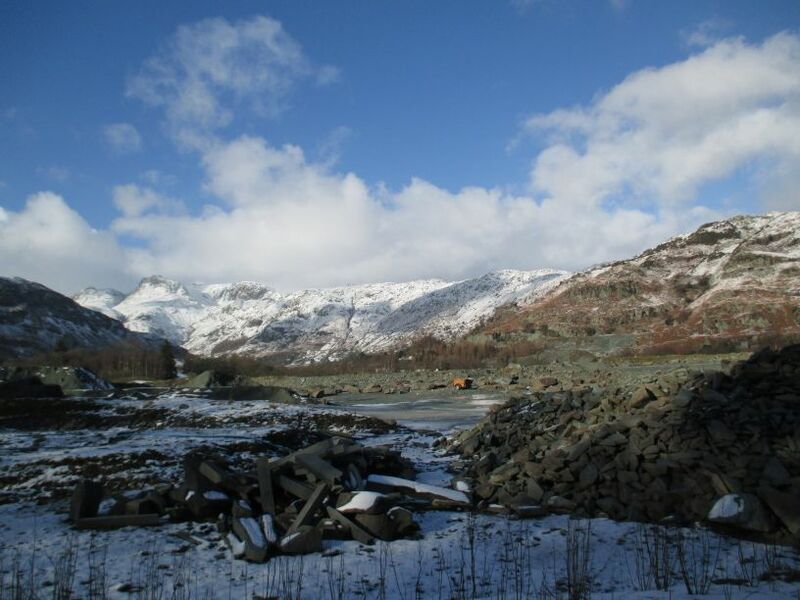 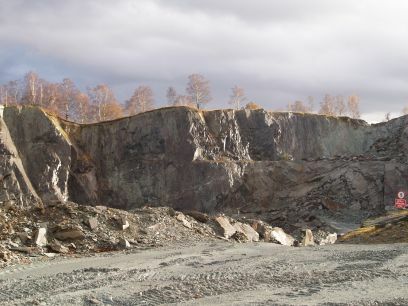 The Langdale Pikes viewed from the Burlington slate quarry. 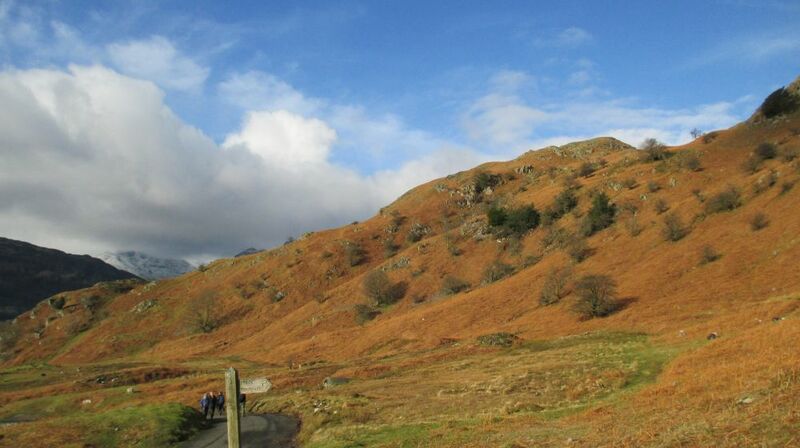 Skelwith Bridge-Colwith-Elterwater Circular Walk: The hills north of Elterwater village. 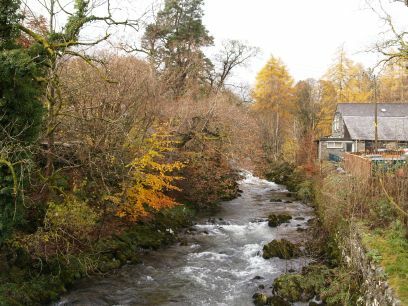 Skelwith Bridge-Colwith-Elterwater Circular Walk: Heading down from the slate quarries to Elterwater by the gushing Great Langdale Beck. 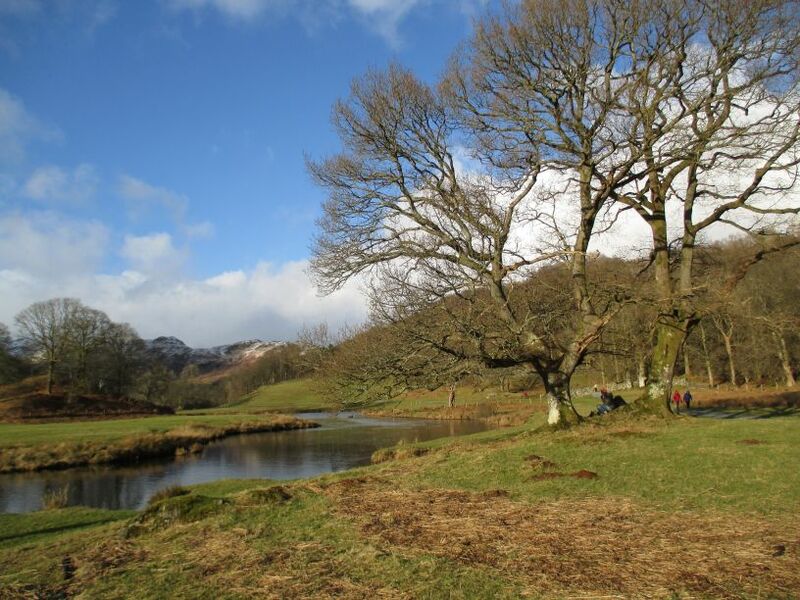 Skelwith Bridge-Colwith-Elterwater Circular Walk: Views of the Great Langdale Beck near Elterwater. 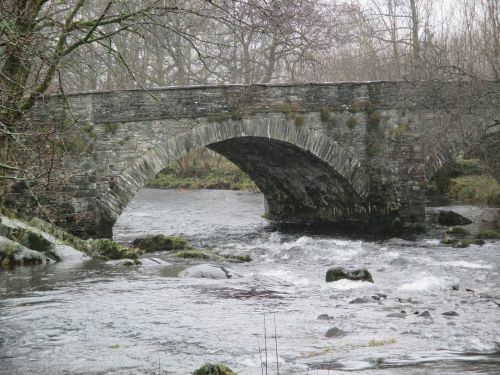 Skelwith Bridge-Colwith-Elterwater Circular Walk: The bridge over the Great Langdale Beck at Elterwater village. 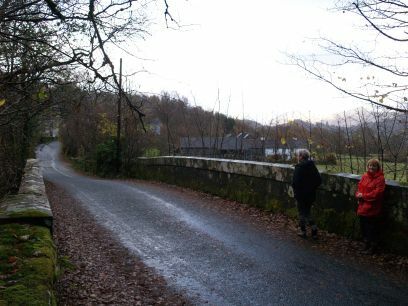 Skelwith Bridge-Colwith-Elterwater Circular Walk: Elterwater village. 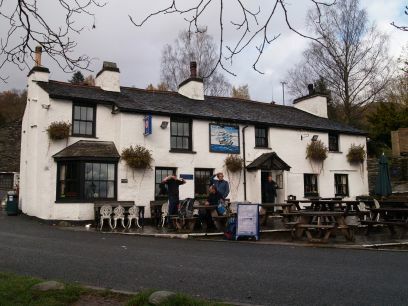 Skelwith Bridge-Colwith-Elterwater Circular Walk: The Britannia Inn pub across from the Elterwater National Trust Car Park in Elterwater village and the Maple Tree Cafe. 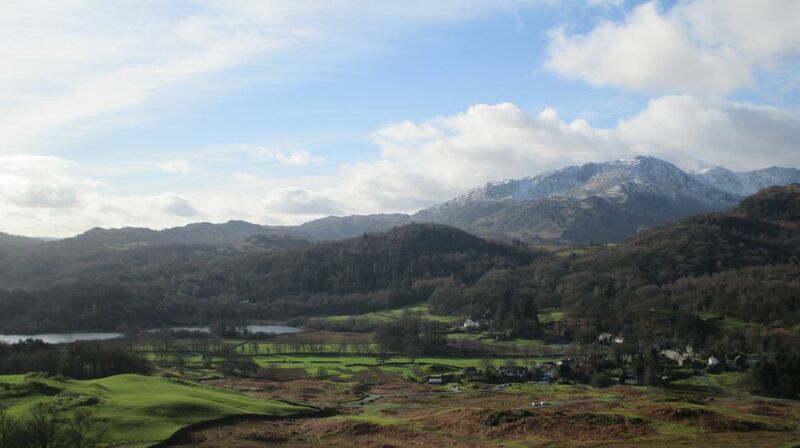 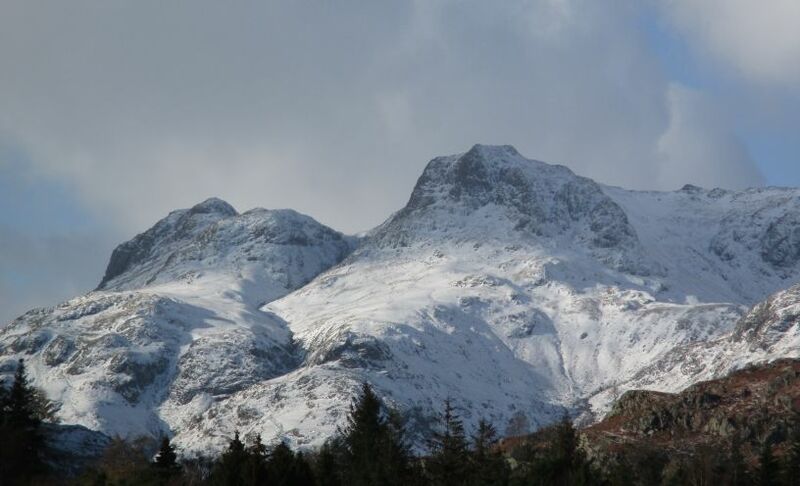 The Langdale Pikes from above Elterwater, eye view and zoom view! 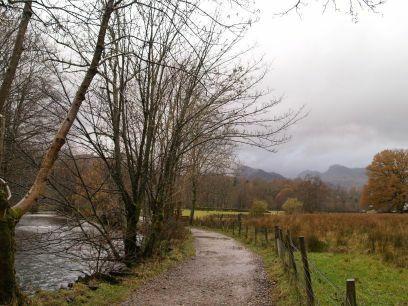 Skelwith Bridge-Colwith-Elterwater Circular Walk: The return to Skelwith Bridge is following the path on the north-east bank of the Great Langdale Beck. 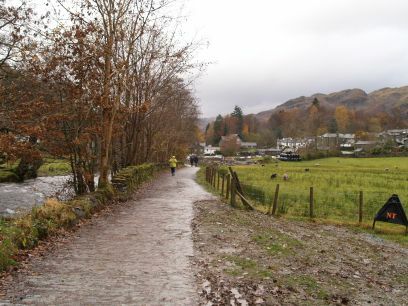 Skelwith Bridge-Colwith-Elterwater Circular Walk: The river bank path between Elterwater village and lake Elterwater. 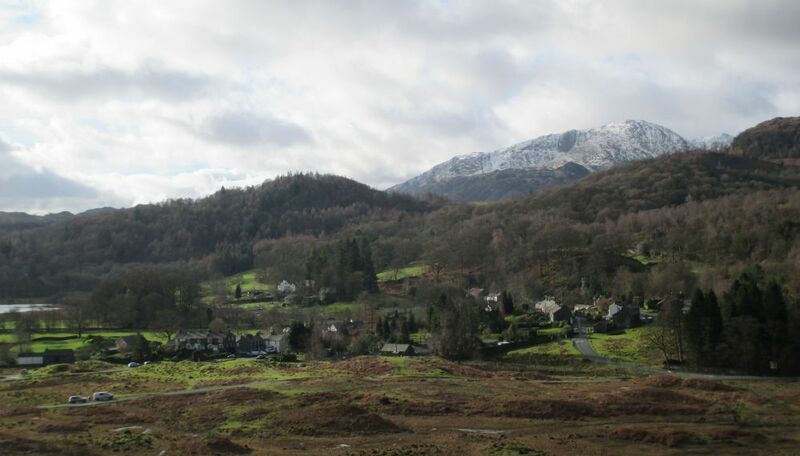 Skelwith Bridge-Colwith-Elterwater Circular Walk: Views looking back towards Elterwater village. 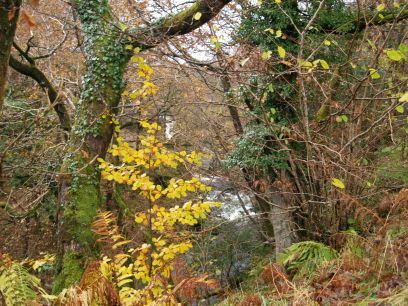 Skelwith Bridge-Colwith-Elterwater Circular Walk: Elterwater through the trees. 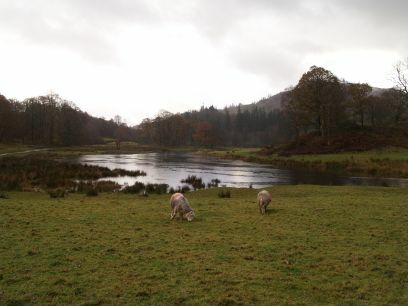 Skelwith Bridge-Colwith-Elterwater Circular Walk: Distant swans on Elterwater. 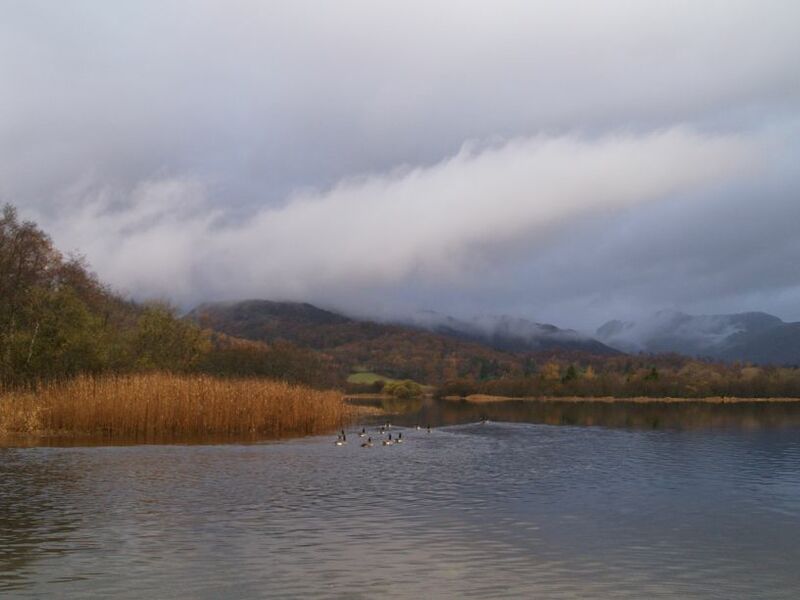 Skelwith Bridge-Colwith-Elterwater Circular Walk: Canada Geese on Elterwater. 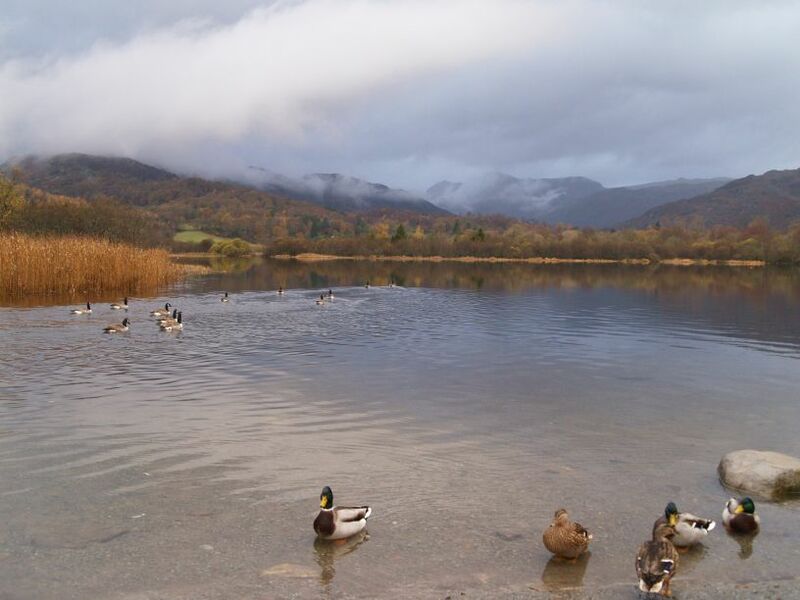 Skelwith Bridge-Colwith-Elterwater Circular Walk: Mallard ducks on Elterwater. 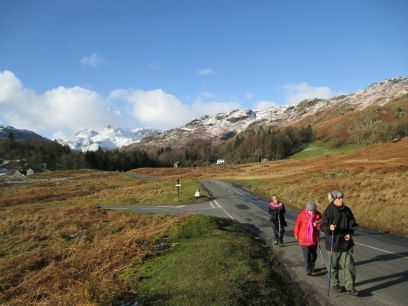 Skelwith Bridge-Colwith-Elterwater Circular Walk: The hills and mountains west of Elterwater. 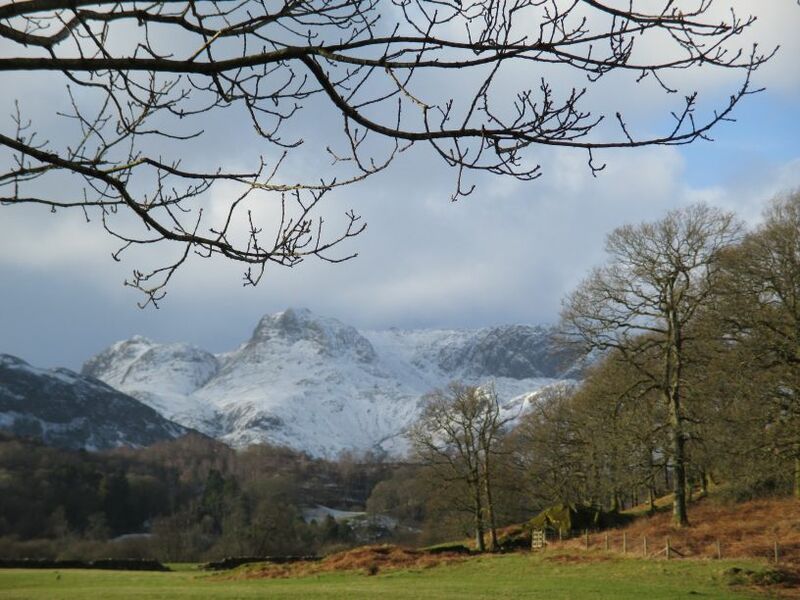 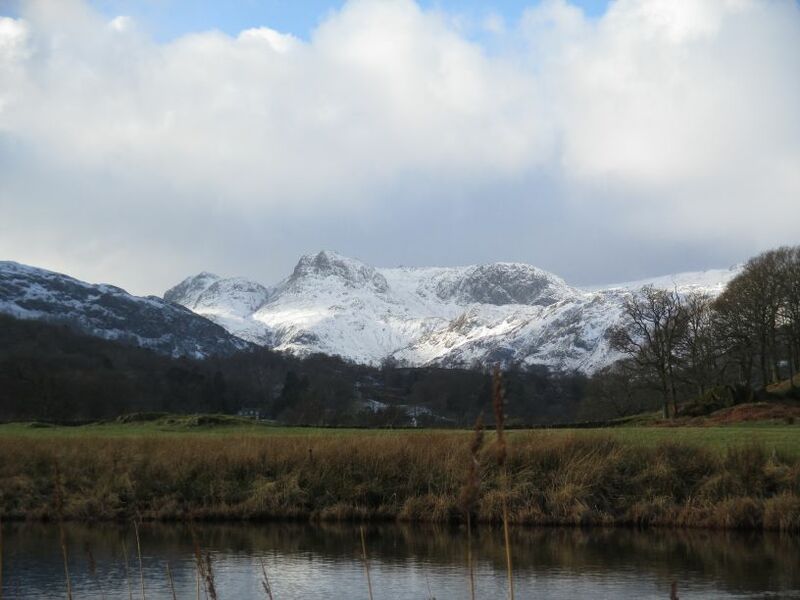 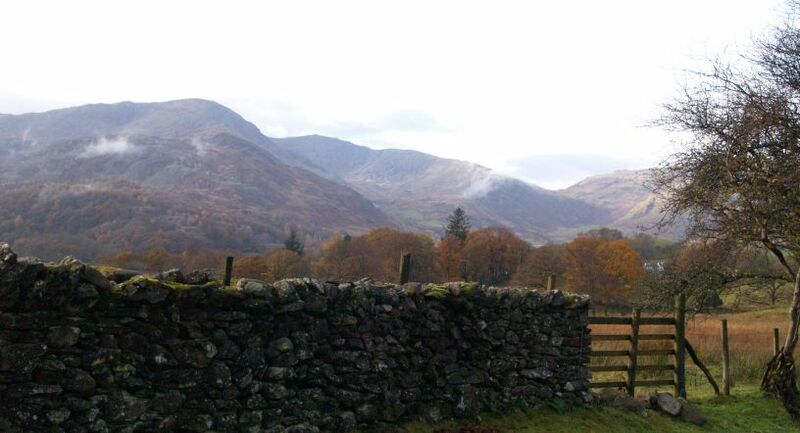 Another zoom across Elterwater to the Langdale Pikes. 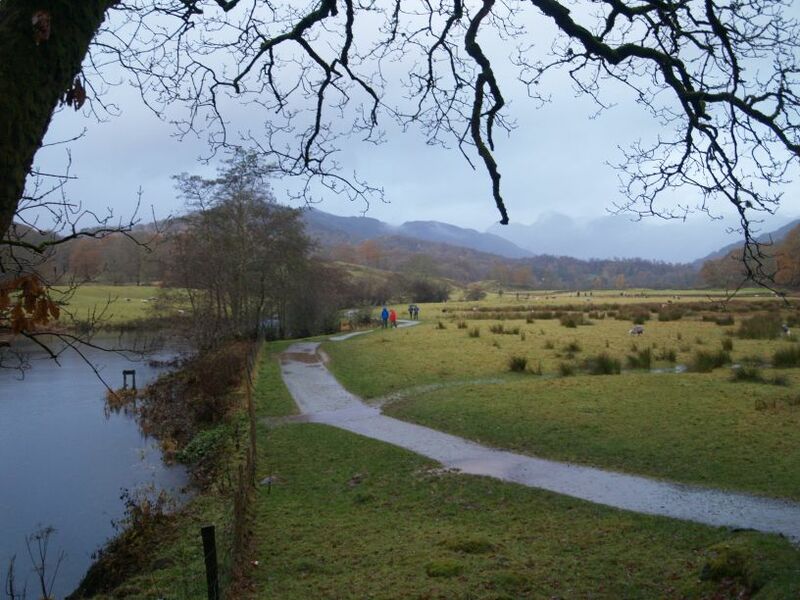 Skelwith Bridge-Colwith-Elterwater Circular Walk: You can just make out the Langdale Pikes from Elterwater - in the misty distant right. 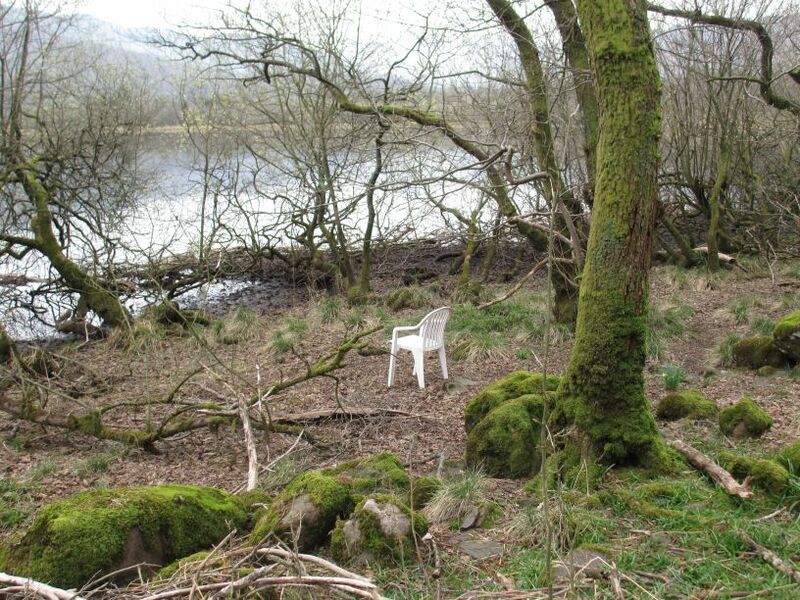 A lone white chair by Elterwater! 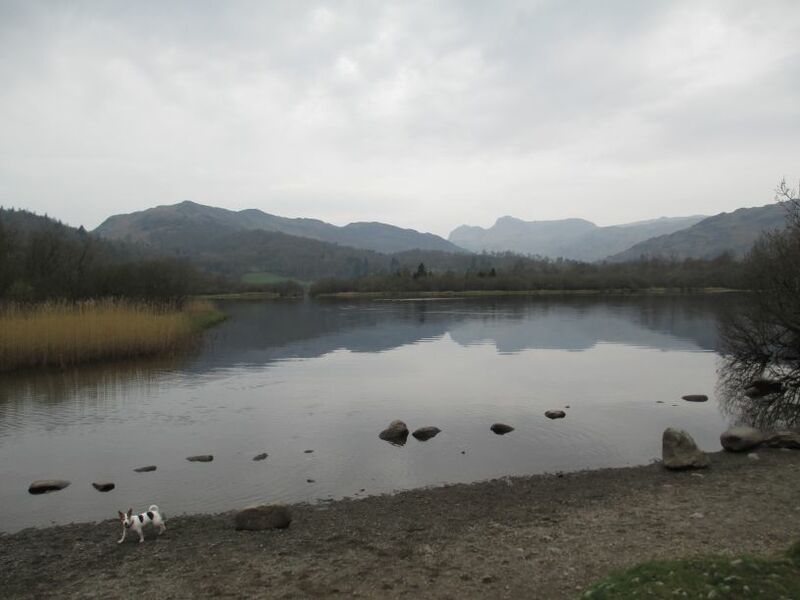 A lone dog by Elterwater! 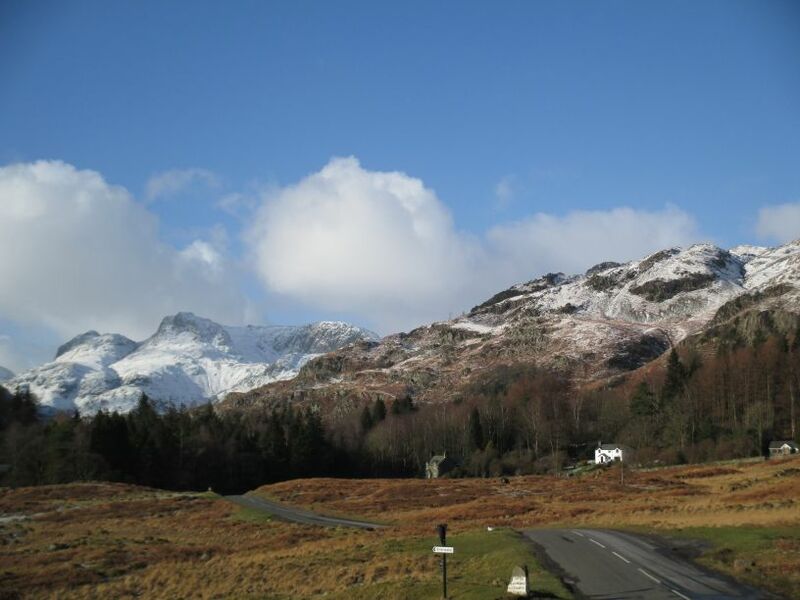 Its always atmospheric over Elterwater, in this case in January 2017. 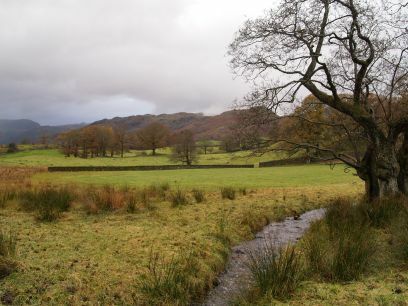 Skelwith Bridge-Colwith-Elterwater Circular Walk: The Great Langdale Beck just south-east from Elterwater lake. 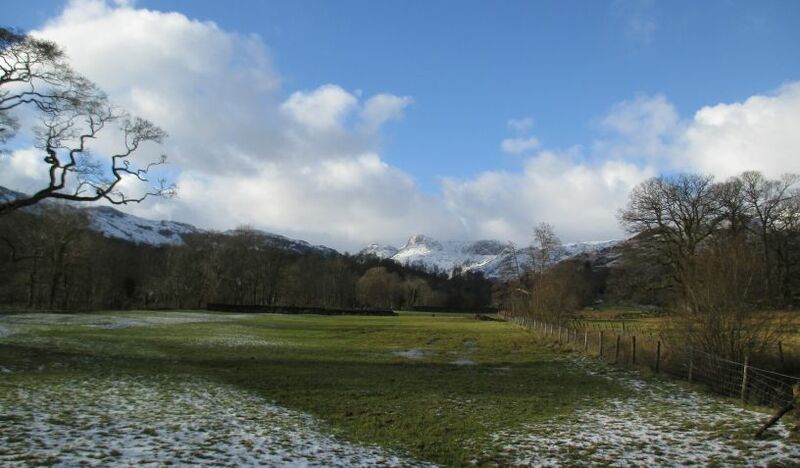 Skelwith Bridge-Colwith-Elterwater Circular Walk: Looking back towards Elterwater and the distant Langdale Pikes. 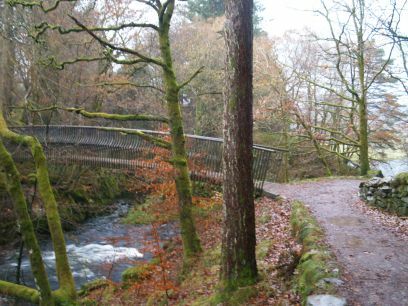 Skelwith Bridge-Colwith-Elterwater Circular Walk: The footbridge west of Skelwith Bridge. 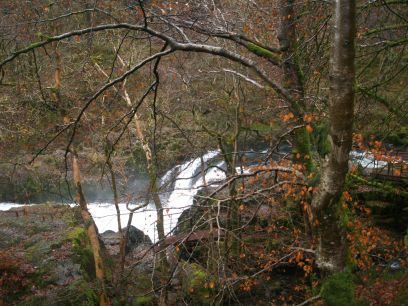 Skelwith Bridge-Colwith-Elterwater Circular Walk: Skelwith Force Waterfall. 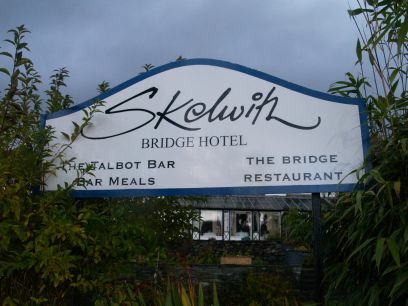 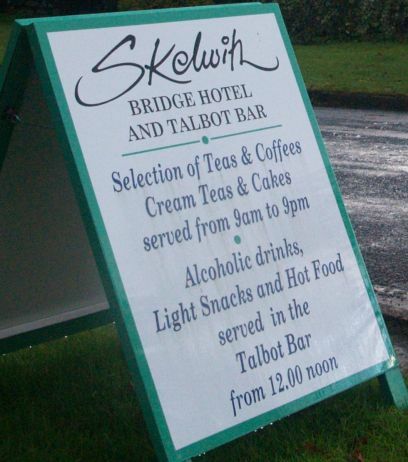 Skelwith Bridge-Colwith-Elterwater Circular Walk: Back to Skelwith Bridge and the Skelwith Bridge Hotel and Talbot Bar. 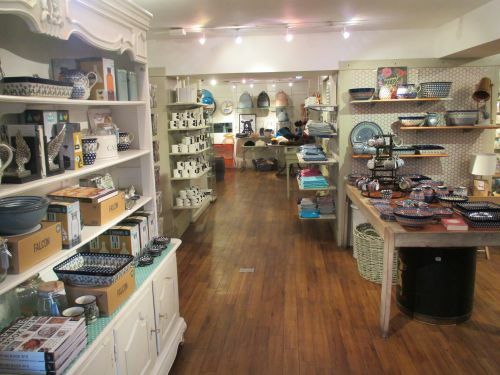 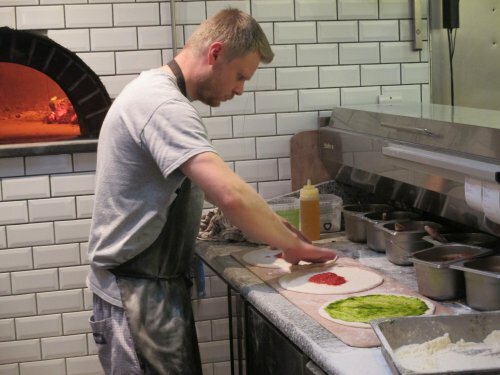 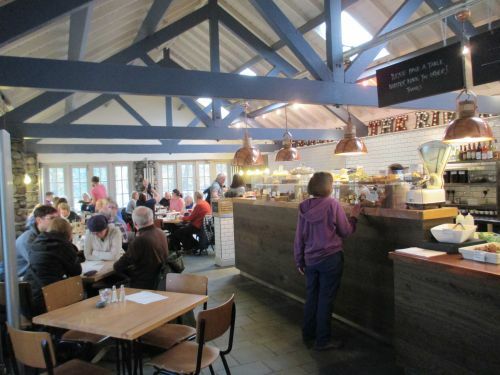 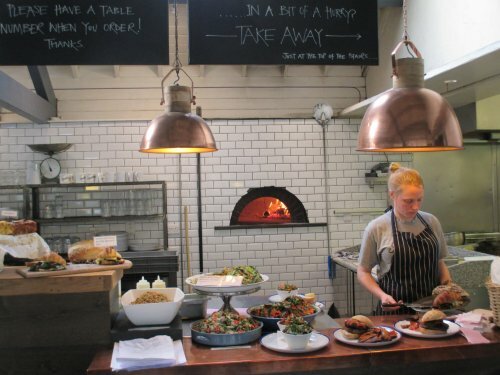 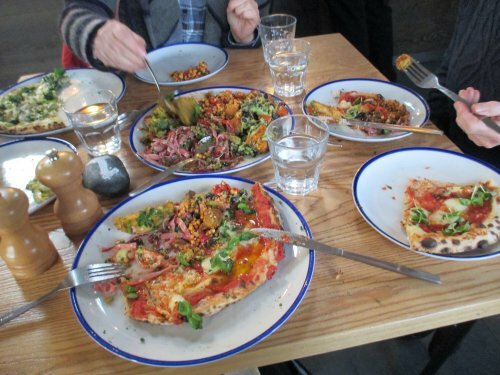 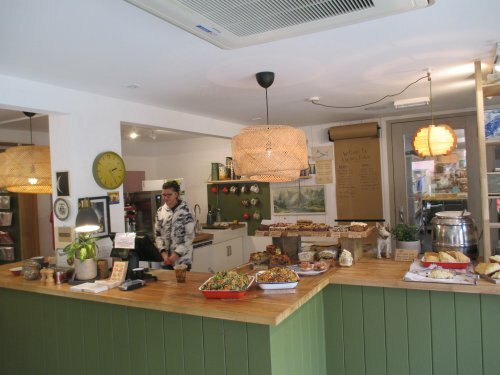 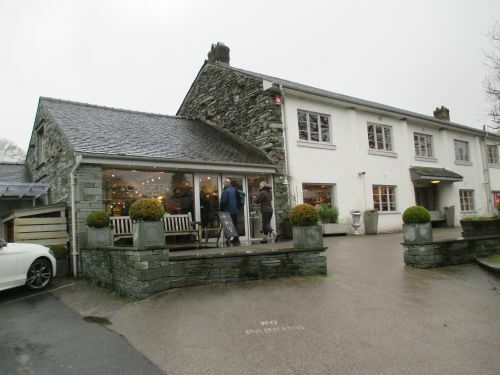 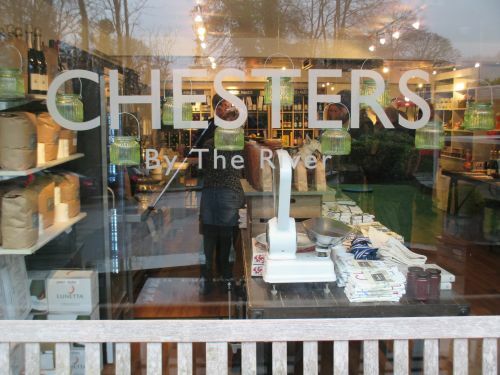 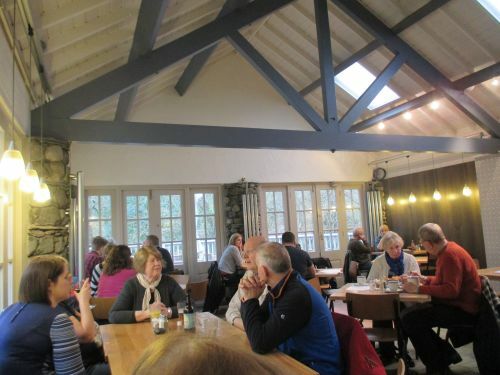 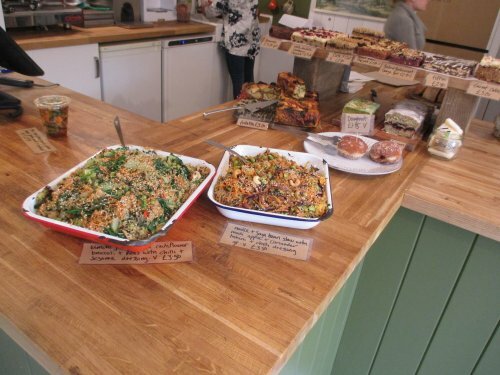 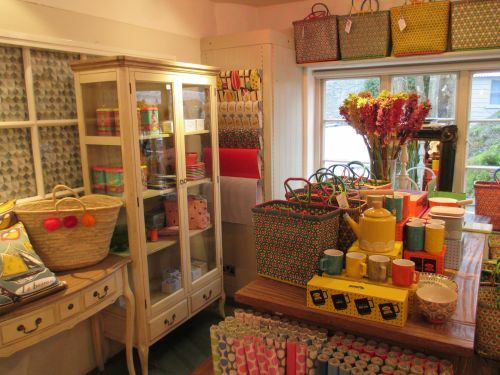 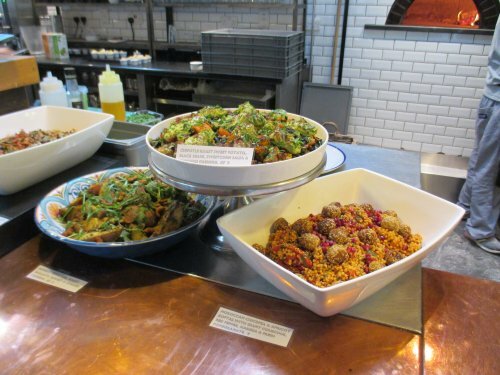 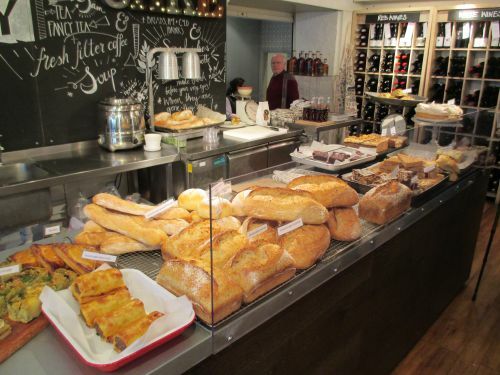 "CHESTERS By The River" is a complex of cafe - restaurant and shop in one building with a great variety of food and gifts beside the River Brathay in Skelwith Bridge - well illustrated below and the vegetarian food is great and the sight of the roaring pizza oven increases the appetite no end! 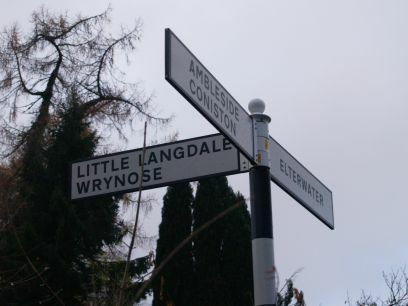 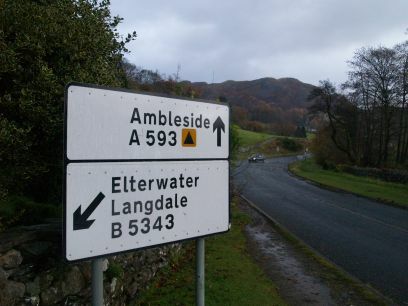 Elterwater lake on the left and Elterwater village on the right. 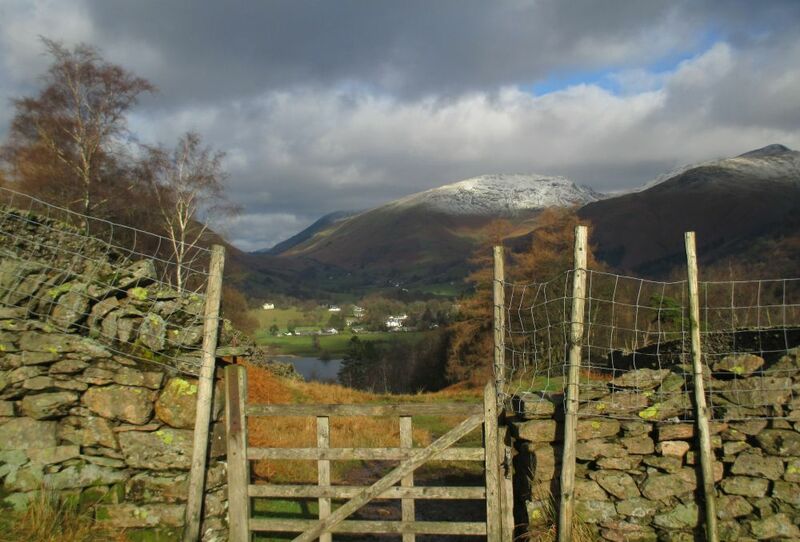 Looking in the direction of Grasmere. 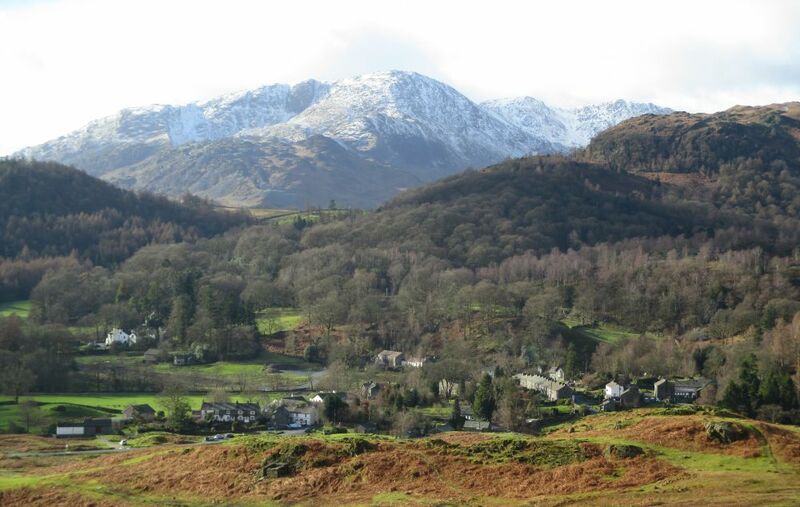 Looking down onto Grasmere and village. 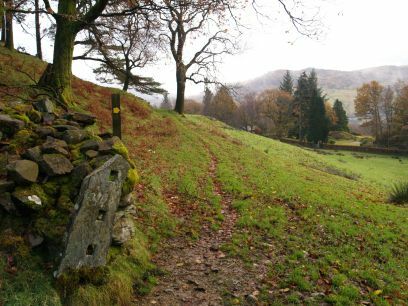 You drop down towards Grasmere and join the circular clockwise walk around Lake Grasmere and Rydal Water to Grasmere village. 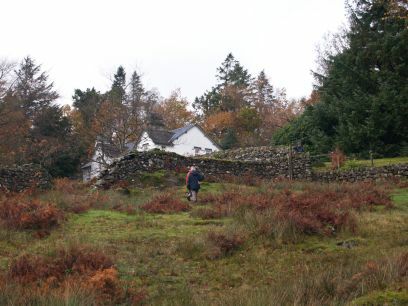 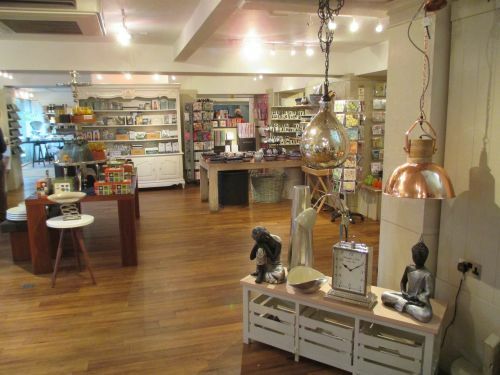 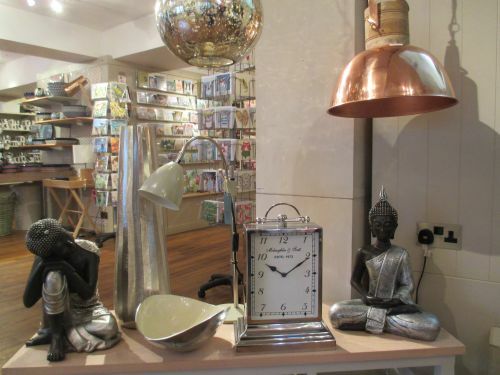 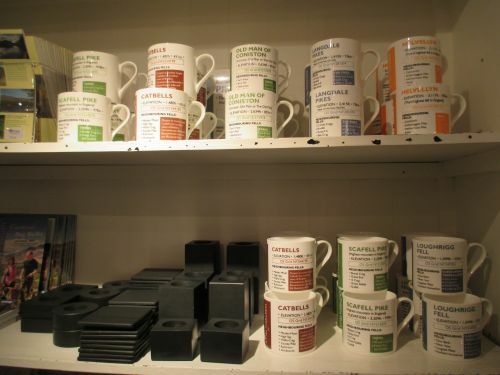 Enter place, walk, feature, village, town, city, historic feature, anything of interest!